Gift-giving with that special, personal touch makes all the difference to the receiver. Today we're sharing how mambi Design Team member Chantal Stevens used one of our new Expandable Paper Pads to personalize and pretty up a box she used to create care packages for pregnant friends. "My sister-in-law and I made care boxes for our out-of-town family members who are currently pregnant. 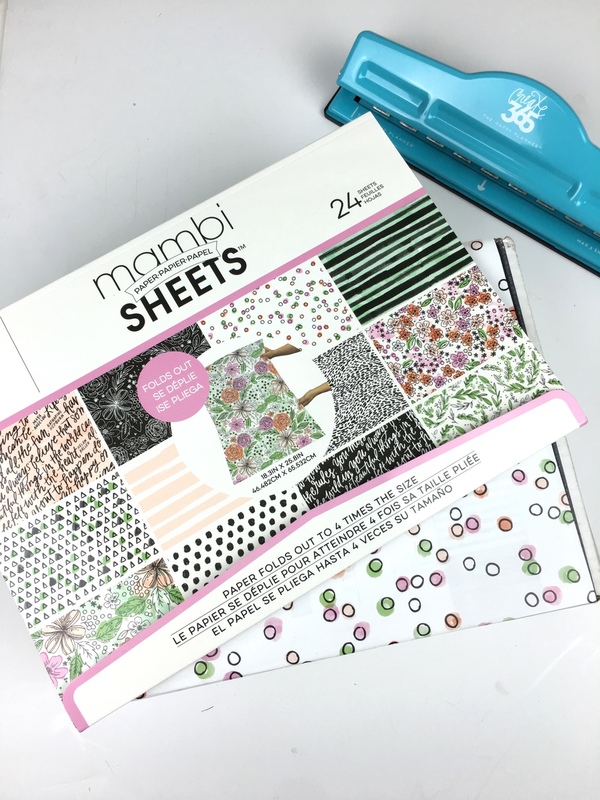 We used a few of the monthly subscription boxes that we are currently receiving and covered them with the new large fold-out Expandable Paper sheets released by mambi this past February. I love how large these paper sheets fold out to! I was able to wrap the outside of the box while still having additional scraps to cover the branding on the inside of the box. I know that they will love their care items and more importantly I know that they will love how the box looks once it arrives."